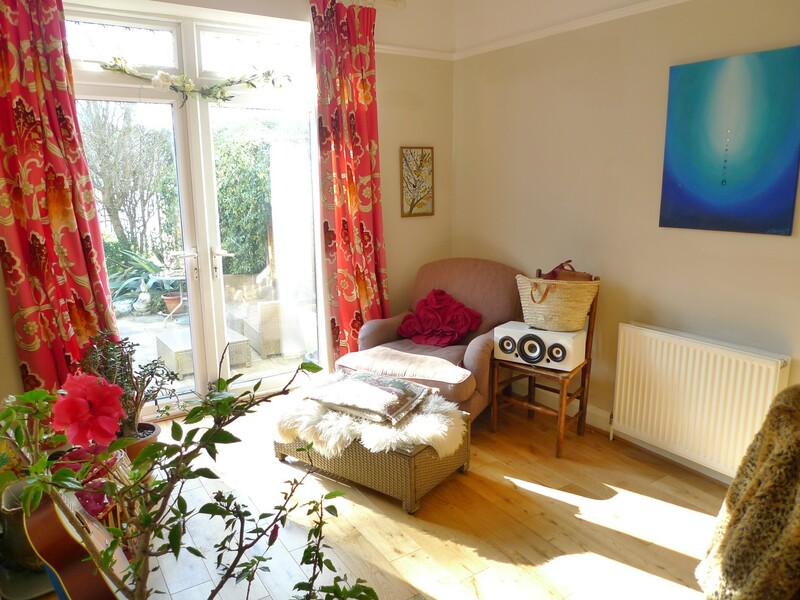 A spaciously proportioned three bedroom family house with 100' south westerly rear garden in Hampden Park. The generously proportioned accommodation has been improved over the years and now benefits from a spacious kitchen/breakfast room as well as a refitted bathroom. The property retains a wealth of period character and charm and only an inspection will convey the high merit and appeal of this family home. 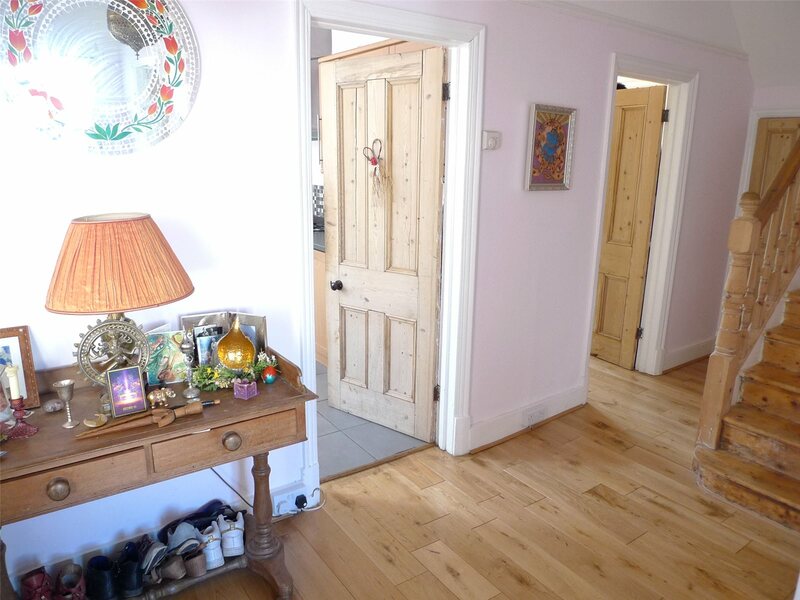 Spacious Reception Hallwith wood flooring, under stairs storage cupboard, further deep storage cupboard, radiator. 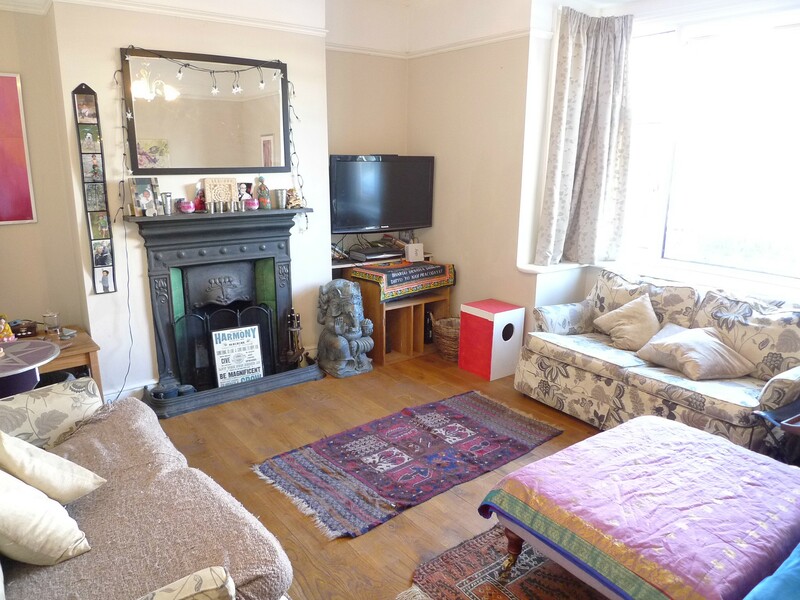 Spacious Sitting Room: 4.6m x 4.3m (15' x 14'0")into the bay window with handsome period style fire surround, wood flooring, radiator. Dining Room: 4.0m x 3.4m (13' x 11')into the recesses flanking the chimney breast and affording a lovely garden aspect, radiator, double glazed double doors give access to the garden. 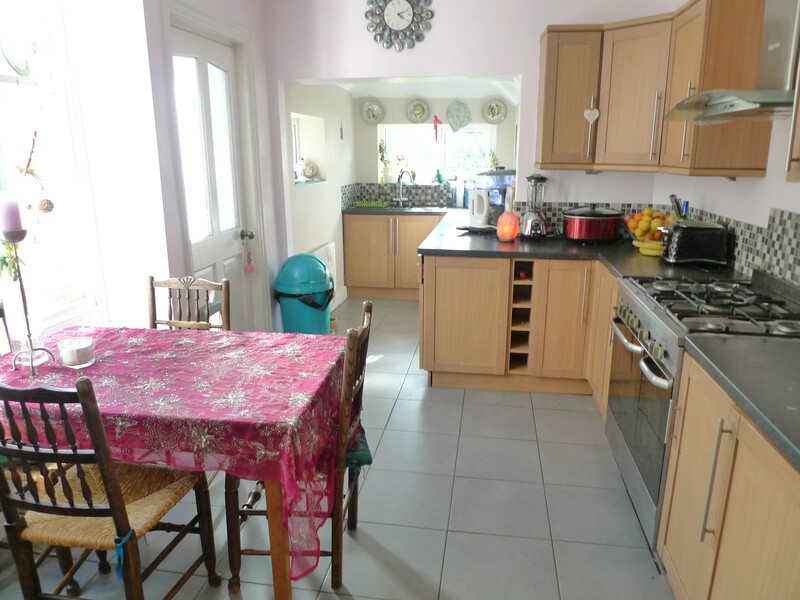 Spacious Kitchen/Breakfast Room: 6.3m x 3.1m (20'8" x 10'0")narrowing to 5'5" at its narrowest point with double aspect over looking the rear garden and extensively equipped with range of working surfaces with drawers and cupboards below and matching wall cupboards over, space for fridge/freezer, large range cooker and washing machine, integrated appliances include the dishwasher, low level refrigerator and filter hood, 2 radiators, tiled floor, side door.The handsome period style staircase rises to the well lit first floor landing with access to loft space. Bedroom 1: 4.4m x 4.3m (14'6" x 14'0")into the bay window but excluding the depth of the under eaves wardrobe cupboard, exposed timber flooring, fitted shelving units, radiator. Bedroom 2: 4.0m x 3.4m (13' x 11')and securing a lovely aspect over the rear garden to the downs beyond, built in wardrobe cupboard, radiator. Bedroom 3: 3.5m x 2.3m (11'5" x 7'7")with radiator, storage cupboard housing the hot water cylinder and wall mounted gas fired boiler. Family Bathroomwith white suite comprising panelled bath with shower attachment, pedestal wash basin, low level wc, fully tiled walls, tiled floor, heated towel rail. Separate wcwith low level suite, wash basin. OutsideA particular feature of this property is the large rear garden which secures a south westerly aspect and measures over 100' in depth. 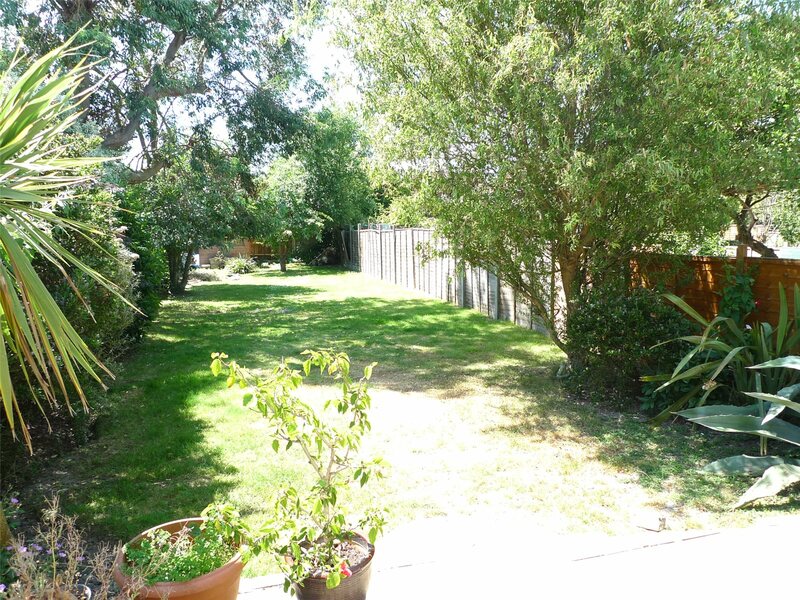 Principally laid to lawn for ease of maintenance with flower beds and borders, timber garden shed, gated side access. A wide paved patio flanks the rear elevation of the property and is accessed via double doors from the dining room. The patio provides a large seating area which secures a high degree of available sunshine. The walled front garden has a small lawned area and private drive affording off road parking space.